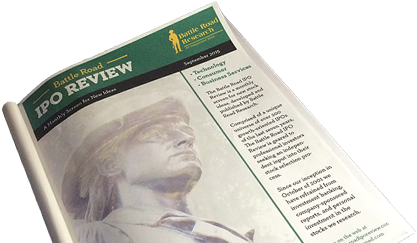 Founded in 2003 by Court Lorenzini, Tom Gosner, and Eric Ranft, and headquartered in San Francisco, DocuSign (NASDAQ: DOCU) becomes the most recent addition to our Battle Road IPO Review Software sector coverage. For its fiscal year ending on January 31, 2019, Consensus estimates call for $624 million in revenue, and a loss of $0.04 per share. In its next fiscal year, analysts predict the company will generate $769 million in revenue with earnings of $0.12 per share. DocuSign debuted on the NASDAQ on April 27th, 2018, in a 21.7 million Class A common stock offering, with 16.1 million shares coming from the company and 5.6 million coming from shareholders. Due to increased demand, underwriters fully exercised their option to purchase 3.3 million additional shares. With an IPO price of $29 per share, the company generated roughly $725 million from the offering, with roughly $563 million of the proceeds going to the company. Morgan Stanley and J.P. Morgan were lead book-running managers for the offering, with Citigroup, BofA Merrill Lynch, and Deutsche Bank as book-running managers, and JMP Securities, Piper Jaffray, and William Blair as co-managers. Recently trading at a share price of $60, DocuSign holds a market cap of approximately $9.3 billion. DocuSign boasts the world’s top e-signature platform through its automation of the agreement process for individuals and organizations. Quicker, cheaper, and with less potential risk than old-fashioned paper agreements, DocuSign’s solution allows customers to securely sign agreements in minutes rather than days. This cloud-based platform grants users the ability to sign agreements from nearly any device, anytime, anywhere. The San Francisco-based company is a global firm with hundreds of millions of users including over 370,000 companies as customers worldwide. These customers include seven of the top 10 global technology companies, 18 of the top 20 global pharmaceutical companies, and 10 of the world’s top 15 financial services firms. In addition to this, DocuSign serves many smaller organizations and individuals in nearly every industry. 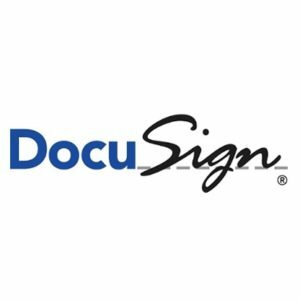 DocuSign is integrated with over 300 applications, including partnerships with NetSuite, Microsoft, Oracle, Google, Workday, Salesforce, and others. Furthermore, their solution can be integrated into custom applications for each individual user. Due to this, DocuSign can be easily leveraged by major organizations, and one of the company’s largest clients is able to utilize the platform in over 300 unique cases within its enterprise. DocuSign offers its platform in the form of subscriptions. There are a multitude of subscription options with different functionalities specifically tailored to customers’ needs. These subscriptions are sold to businesses through DocuSign’s partnerships and direct sales force. For smaller organizations and individuals, DocuSign uses its company website to acquire subscriptions. DocuSign’s business model shows great potential, as the company has recently expanded its revenue while shrinking its losses. In the fiscal year ending January 31, 2018, the company posted $382 million in revenue, albeit with a loss of $115 million. The following year, revenue jumped 36 percent to $519 million, while its loss was cut to $52 million. Having raised roughly $563 million in company proceeds from its IPO, DocuSign’s strong post-IPO balance sheet features $820 million in cash and no debt.